Moyes fears that 19-year-old may be in danger of burning out. David Moyes has revealed he has rested Adnan Januzaj in recent weeks after seeing signs of fatigue in training sessions. The Belgium-born midfielder dazzled for United in the early stages of the season, which has unraveled in recent weeks following heavy defeats on home soil to arch rivals Liverpool and Manchester City. Januzaj has had to watch United’s dip in form from the bench, and he was an unused substitute against Olympiakos and West Ham while he did not even make the match-day squad for Tuesday’s derby defeat. But Moyes has justified the decision to take the 19-year-old out of the first-team frame, fearing he may burn the teenager out as he has already played 29 times this season. 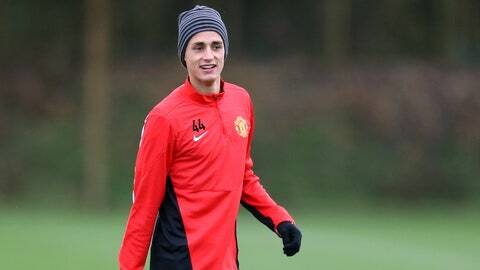 "Adnan has played an incredible amount of games for a 19-year-old," said the United boss. "We have to be mindful of that. We have seen signs in training that we have to be careful what we do with him. "But he is a great talent. He is someone we know will go a long way at United. But we are just being careful with him. We have to do the right things and he has played a lot of football." Januzaj, who moved to United from Anderlecht in 2011, signed a new five-year contract at Old Trafford last October after he broke into the first team.